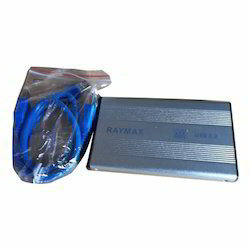 Pioneers in the industry, we offer usb 2.0 sata hdd casing, raymax usb 3.0 cable, usb 3.0 sata casing, raymax usb 2.0 cable, usb 2.0 to lan and usb 2.0 to serial converter from India. Available In Both USB 2.0 & 3.0 Speed. High Quality Pure Aluminium Enclosure. 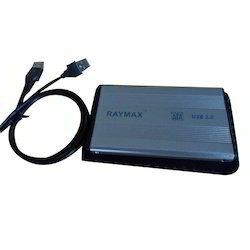 We are known to offer the wide range of Raymax USB 3.0 Cable. We are an unparalleled name in providing a finest quality USB 3.0 Sata Casing that facilitates to attach 3.0 HDD's from externally to the computer through USB port. The offered casing is developed with the help of sophisticated technology at our vendors’ end. In addition to this, our procured casing has become a prominent choice among other available in the market for its data transfer rate of 5mbps. Since our beginning, we are engaged in presenting a wide range of excellent quality USB 2.0 to LAN. 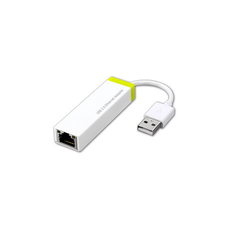 This USB to Ethernet adapter is a perfect solution to connect to network using USB port. The offered adapter is USB 2.0 compliant and support 10/100 network. At our manufacturing unit, our engineers have designed the product adhering to international industry standards and using approved components. Besides, clients can get the product from us at industry leading prices. With the assistance of our deft team of professionals, we are able to introduce a broad array of USB 2.0 to Serial Converter. 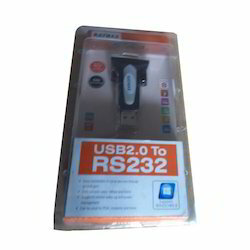 The offered USB 2.0 is manufactured adhering to global product standard system. It has interface converter for serial ports. The USB 2.0 converter has FTDI chipset, which is a world renowned for serial interface. The converter is tested on various quality parameters before dispatching to clients. Furthermore, clients can get the USB 2.0 converter from us at cost effective prices. 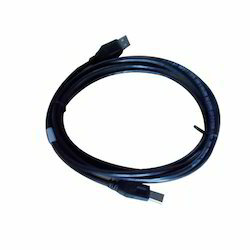 As one of the leading entity of this domain, we are engrossed in providing supreme quality USB Active Extension Cable. The offered USB 2.0 extension cable allows extending the reach of USB cables to long distances without compromising the signal quality or data lose. 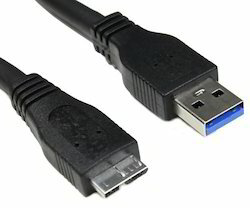 Also, the offered USB 2.0 extension cable is IC enabled, so users can output the data at same speed as the input data. Further, the provided USB 2.0 extension cable is made available in 10 mtr, 15 mtr and 20 mtr length, In addition, the given USB 2.0 extension cable is fully USB 2.0 compliant. Leveraging on our in-house production unit, we are presenting a wide assortment of USB to Sound Card. This truly plug n play USB needs no devices, and it offers a perfect solution to enrich audio capability through USB port. Further, the offered USB is developed having different configurations, processes, capacitates, and online access options. 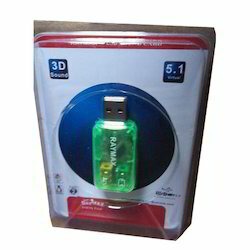 Also, clients are facilitated to choose USB from us at industry leading prices.